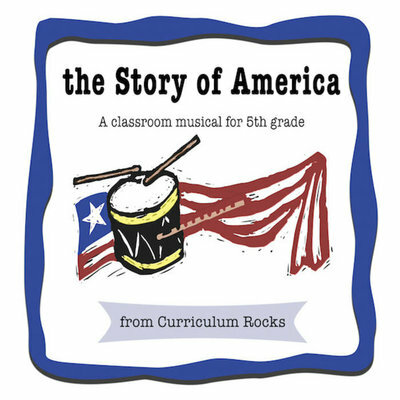 The Story of America - Curriculum Rocks! American history, from Native Americans through the Revolution, with narration and contemporary songs like "Our Ancestral Land", "Daughters of Liberty" and "The Redcoats Are Seeing Red". Full Musical Version includes downloadable teacher instructions, script, mp3s, performance rights, and lyric sheets.